GET YOUR PINK ON and put your breast foot forward to increase awareness of community resources and support for individuals, couples and families suffering from the impacts of cancer causing illnesses. Host this event in your community. WHAT WE PROVIDE: We provide guidance & counsel to help orchestrate your event. This includes the license to use our trademarks and name, event website, social media tools, online registration, event resources, forms, tees, medals, awards and branded items! WHAT YOU PROVIDE: It’s your event. Host & manage where you want, when you want. You dictate who your vendors are, you keep 100% of the proceeds to offset your event costs and you keep the profits to use locally for any way you see fit. Run for the BooBees… is focused on the impact of cancer on every aspect of a family’s life… spouses, sisters, brother’s, children and friends. Learn about local resources that will help you discover early detection, cancer treatment options, discover support groups for men and women and just for fun, let’s learn a little about honey bees… because if they leave, they are taking us with them! – We’re in this together! The series of 5K runs and fitness walks is designed to raise local awareness for the breast cancer movement, celebrates breast cancer survivorship and honors those who have lost their battle with the disease. 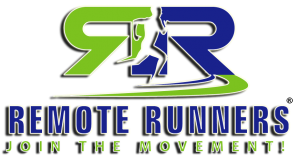 5Kevents.org welcomes people of all ages and fitness levels, from walkers to elite runners.